Youth made doc screens at Capri Theater tonight! 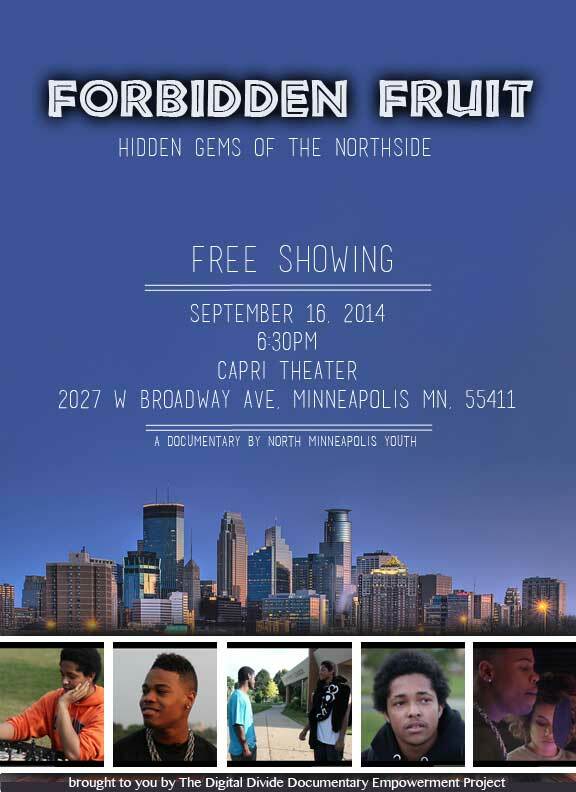 Forbidden Fruit: Hidden Gems of the Northside is a documentary film about youth empowerment through art and the voices of North Minneapolis. Previous Previous post: Join us for the TCYMN Happy Hour!